Which Shampoo is Best for You?! Do you ever feel overwhelmed with options when standing in front of the Aveda product shelves? With so many different types of shampoo and conditioners, we understand it can be hard to know which one is best for your hair type. That's why we are exploring three of Aveda’s most popular shampoo and conditioner lines, to give you insight not only about which aroma is best, but which one is best for your hair type. Rosemary Mint, Shampure and Cherry Almond are three of the bestselling basic Aveda shampoo and conditioners. Each one is great for different reasons and for different hair types. These products are vegan, cruelty free, 95% or higher naturally derived quality hair care products. Among them, we have no doubt that there is one for your hair. Aveda’s Best Selling Shampure Shampoo and Conditioner has just recently been given a makeover. It’s lightweight, nourishing ingredients include abyssinian oil. Abyssinian oil is a great natural ingredient sourced from a sustainable farm in Canada and used for boosting hair’s shine and keeping it nourished. Aveda finds that using this in their products allows them to create weightless body and shine without the use of silicones. 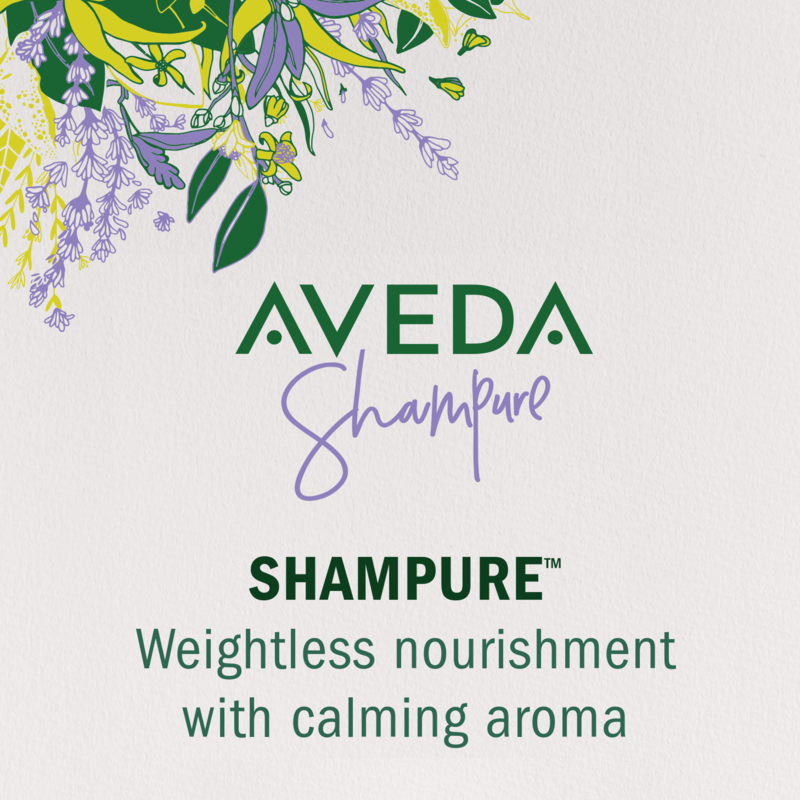 On the conditioning scale, Aveda Shampure sits at the middle on the list, which makes it a great option for pretty much everyone. For those with fine to medium hair this product is a great option to nurture your tresses. Rosemary Mint Purifying Shampoo is definitely the most cleansing of the three. Because of this, it could also be considered the least conditioning. Aveda recently upgraded the look of this fan favorite, but not to worry, the formula has remained the same. With the clarifying power of white vinegar combined with micellar technology, Rosemary Mint works to remove dirt and oil without stripping your hair. Cleansing shampoos are great to clarify your hair if you’re struggling with product build up or greasiness. This line is especially great for anyone with fine to medium oily hair. The Rosemary Mint Conditioner is a weightless formula that will condition your hair without making it feel weighed down. 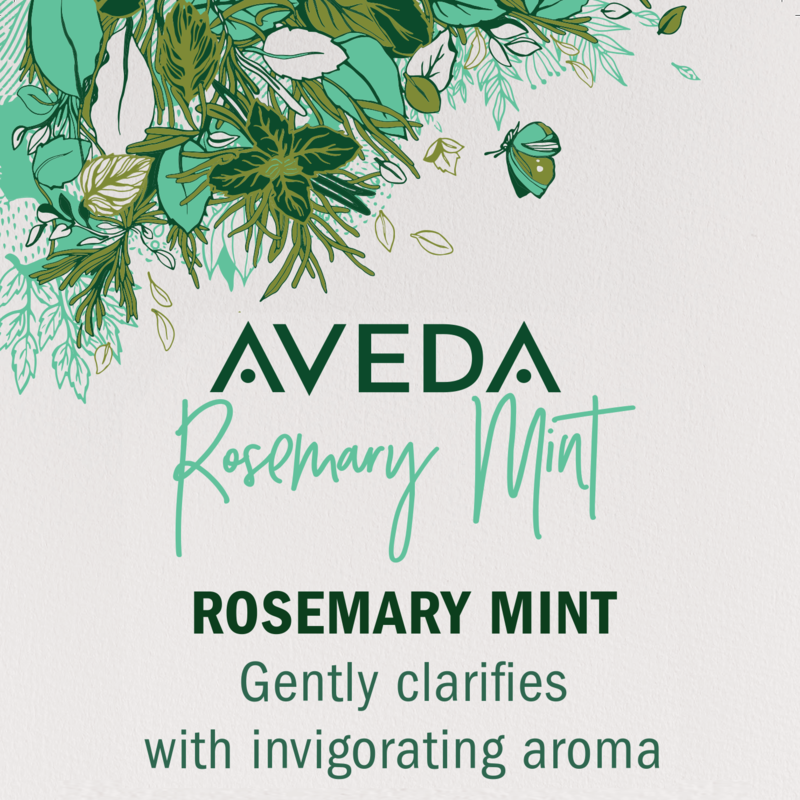 Rosemary Mint products are one of Aveda’s longtime best sellers because of it’s invigorating aroma. If you have fine hair, Rosemary Mint Conditioner is a great option for you because it will provide just the right amount of nourishment without weighing your hair down. Cherry Almond Shampoo and Conditioner was originally called Cherry Almond Bark back in 1978 when Aveda was first founded. It was discontinued for a while, but Aveda reformulated this old classic and brought it back life in 2018. This line of shampoo and conditioner is especially great for anyone who is looking for touchably soft hair, and sweet smelling goodness. The aroma is naturally derived from pure plant and flower essences. 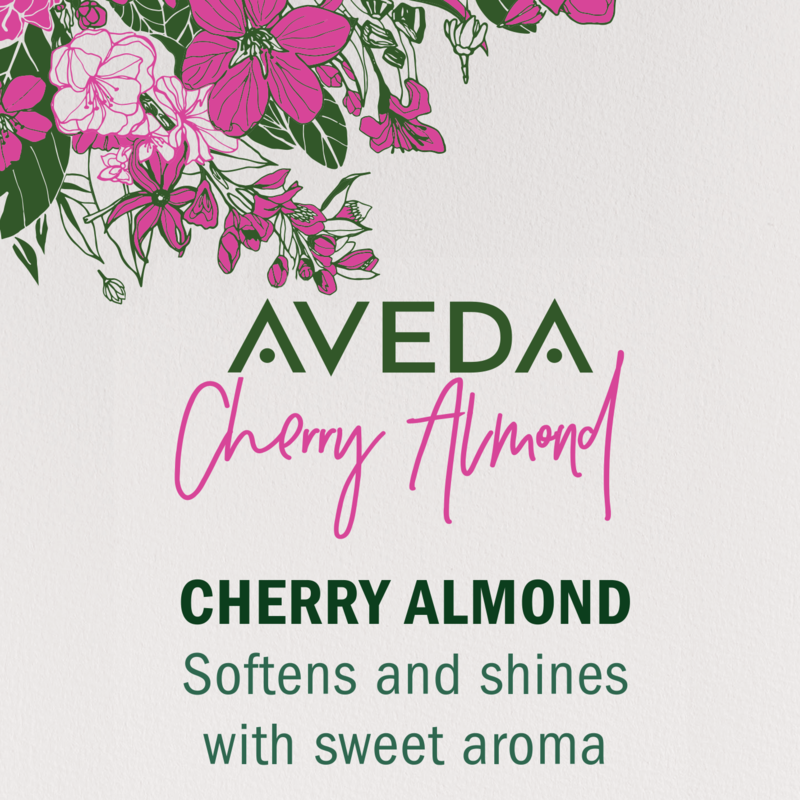 Aveda recommends Cherry Almond for anyone who is struggling with dry hair, because it is very nourishing. If your hair is medium to thick, or mildly dry, Aveda recommends Cherry Almond as your new go to. We hope this helps give you a good starting point for figuring out what Aveda line is best for your specific hair type. As always, we suggest talking with your service provider about what they recommend for your hair type as they have the most insight to your goals, struggles and particular hair needs. Shampure, Rosemary Mint and Cherry Almond are great basic lines for almost anyone, but don’t forget about all of Aveda’s specialty hair care lines for more particular needs such as extreme dryness (Dry Remedy), color preservation (Color Conserve) and restoring protein (Damage Remedy). If you’re still not sure what might be best for you, visit us at any Gordon Salon to speak with a stylist or one of our salon coordinators who would be delighted to get you on the right path.